1. 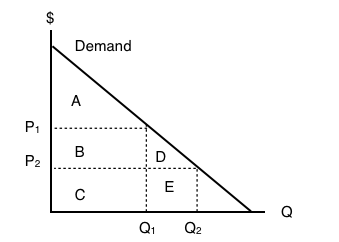 Which of the following statements about demand curves is TRUE? 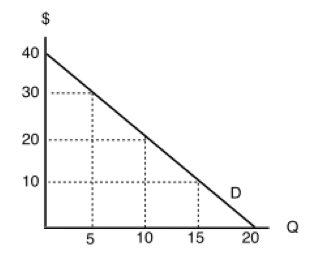 a) If price falls and quantity demanded increases, this is represented by a movement along a given demand curve. 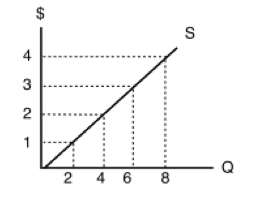 b) If price falls and quantity demanded increases, this is represented by a shift of the demand curve. 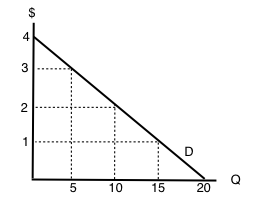 c) If price falls and quantity demanded increases, this can be represented by either a movement along a given demand curve, or a shift of the demand curve. 2. Which of the following is NOT a determinant of the demand for good X? 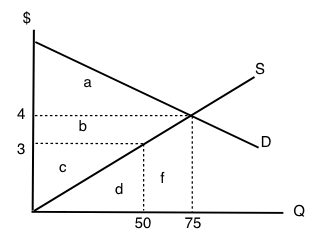 a) The income of consumers who buy good X.
b) The cost of labor used to produce good X.
c) The price of good Y, a complement to X.
d) The number of buyers of good X. 3. 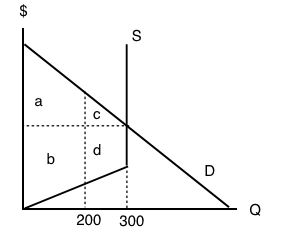 Which of the following will result in a DECREASE in demand (i.e., a leftward shift of the demand curve)? a) An increase in income, if the good is normal. b) A decrease in the price of a complement to the good. c) An increase in the price of a substitute for the good. 4. Suppose that my daily marginal benefit from drinking coffee increases by $2 per cup. 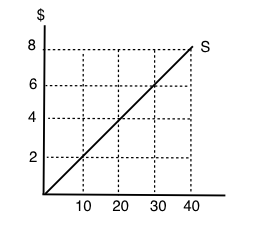 Which of the following represents the effect of this on my coffee demand curve? 5. Which of the following is NOT a determinant of the demand for good X? 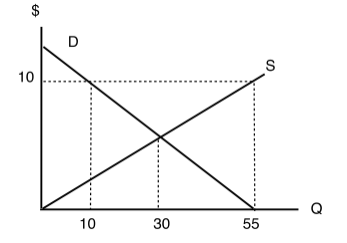 d) The price of good Y, which is a substitute for good X. 6. 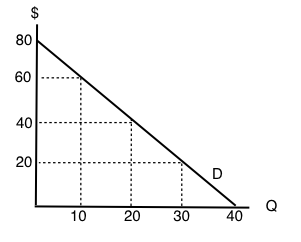 Which of the following IS a determinant of the demand for good X? 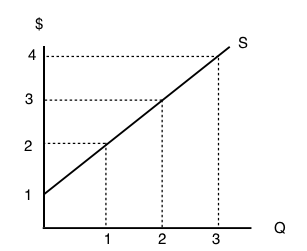 c) The supply of good X.
a) A leftward shift in the demand curve. 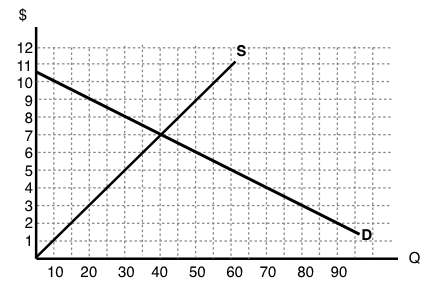 b) A rightward shift in the demand curve. c) A movement up and to the left along a demand curve. 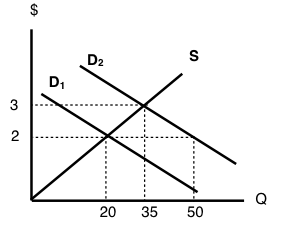 d) A movement down and to the right along a demand curve. 8. 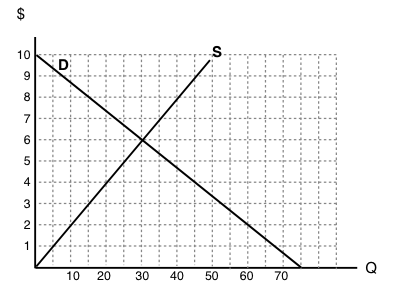 Suppose goods X and Y are substitutes. Which of the following is TRUE? 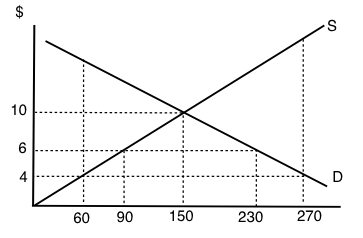 a) An increase in the price of X will result in a decrease in the equilibrium price of Y.
b) An decrease in the price of X will result in an increase in the equilibrium quantity of Y.
c) An increase in the price of X will result in an increase in the equilibrium quantity of Y.
d) More than one of the above is true. 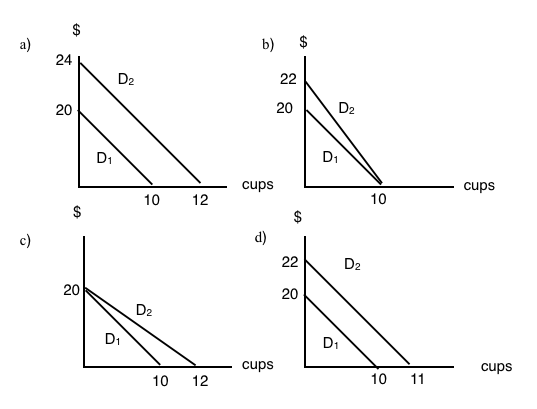 a) An increase in equilibrium price and a decrease in equilibrium quantity. b) A decrease in equilibrium price and an increase in equilibrium quantity. c) A decrease in equilibrium price and equilibrium quantity. d) An increase in equilibrium price and equilibrium quantity. 11. The diagram below illustrates 3 possible demand curves for coconuts. Suppose that coconuts and pineapples are substitutes. If the price of pineapples increases, which of the following movements will represent the effect of this in the market for coconuts? 12. If the price of this good is $20, what will be the quantity demanded? 13. If the price of this good is $60, what will consumer surplus equal? 14. 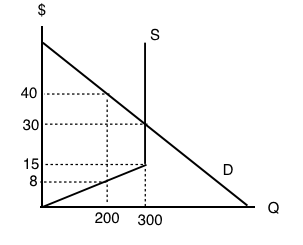 The following question refers to the diagram below, which illustrates an individual’s demand curve for a good. 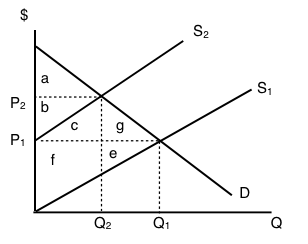 If the price of this good falls from P1 to P2, then consumer surplus will _____ by areas _____. 15. Consider the diagram below. 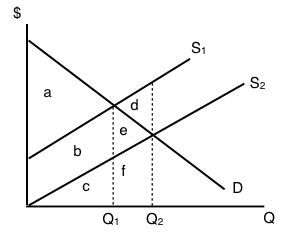 At the equilibrium in this market, which area represents CONSUMER surplus? a) There is no consumer surplus. 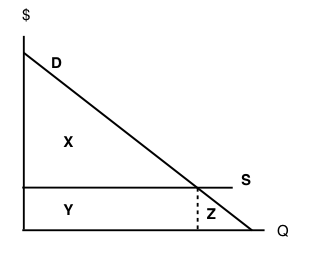 c) Area x + y.
d) Area w + y. 16. 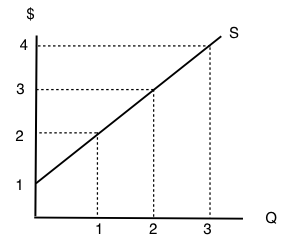 Which of the following CANNOT result in a shift of the demand curve for a good? a) A change in consumers’ incomes. b) A change in the price of the good. c) A change in the price of a complement to the good. d) All of the above will shift the demand curve. 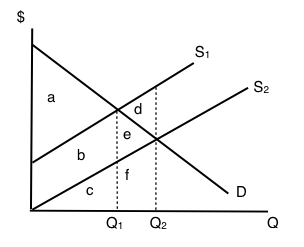 a) An increase in both the equilibrium price and quantity. b) A decrease in the equilibrium price and an increase in the equilibrium quantity. c) An increase in the equilibrium price and a decrease in the equilibrium quantity. 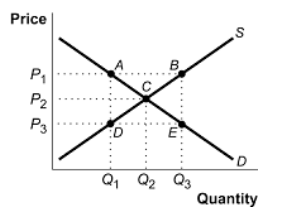 d) A decrease in both the equilibrium price and quantity. 18. If coffee and milk are complements, then which of the following will occur if the price of coffee increases? a) The quantity of coffee demanded will increase. b) The quantity of coffee supplied will decrease. c) The demand for milk will increase. d) The demand for milk will decrease. 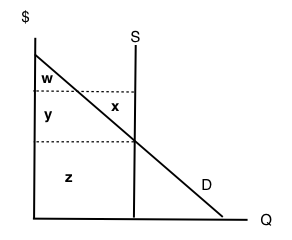 a) Revenue received for a good minus that good’s cost of production. b) The amount of money a consumer is willing to pay for a good. c) The opportunity cost of a good. 20. 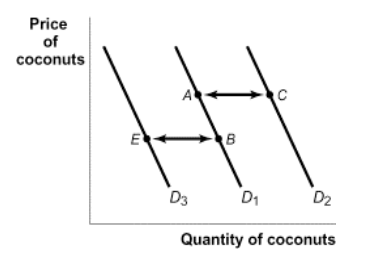 The diagram below illustrates 3 possible demand curves for coconuts. Suppose that (i) coconuts are an inferior good and (ii) consumer incomes decrease. 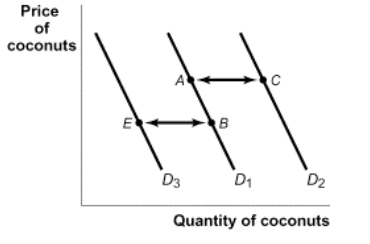 Which of the following movements could represent the effect of this in the market for coconuts? Topic 3 Multiple Choice Questions by University of Victoria is licensed under a Creative Commons Attribution 4.0 International License, except where otherwise noted.